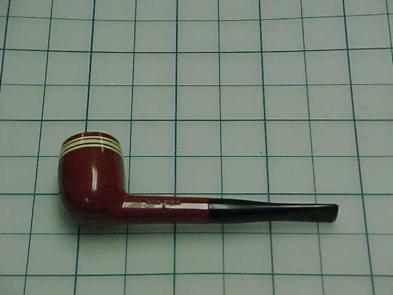 The value of pipe #495 is n/a points. There was an eBay auction for a lot of pipes with a humidor. Buried in the lot was this pretty good specimen and I wanted one like this to smoke. The price was right, so I got it from lori-designs. It will be on the Pipes for Trade page until someone has a good offer for me. Chris Brown found it and asked for it to complete a trade we had negotiated for a pipe he had given me about six months before.